In a continuing effort to bring you the latest news on the best matcha, today we will share with you our Pure Matcha Review. We will be reviewing the Organic Premium Ceremonial Grade Matcha from Pure Matcha. Pure Matcha, Organic Premium Ceremonial Grade Matcha is a first harvest premium grade matcha green tea powder from the Nishio region of Japan. The Pure Matcha company focuses on bringing the freshest highest quality matcha to the market. They believe in carrying a small inventory that is changed often, rather than a large inventory that may age quickly. The first thing that we noticed in this Pure Matcha review is that this matcha comes in a resealable aluminum can with a screw top lid. This is our favorite matcha packaging. We then prepared the Pure Matcha green tea powder in the traditional ceremonial manner, in a bowl with a bamboo whisk. The Pure Matcha blended quickly and efficiently, creating a very nice, creamy froth. 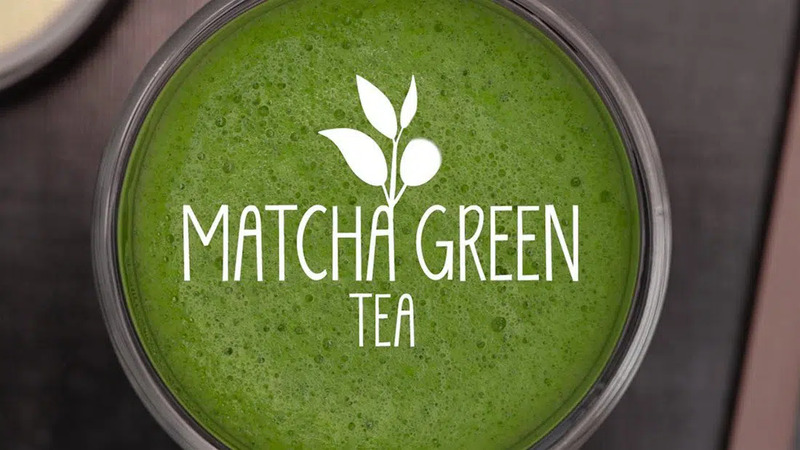 The one downside that we have found during our research for this Pure Matcha Review is that the company does not have a 100% satisfaction guarantee similar to other matcha companies. Pure Matcha return policy states: "Customers have 14 days to return any unopened products from the day of delivery. There is a 25% restocking fee of the purchase price. Customers are not refunded shipping costs. All rights are reserved by Pure Matcha." That is a very different policy than most matcha companies that we recommend, but let's get on with the Pure Matcha Review and evaluate just how important this policy is. As we do with all of our Matcha Reviews, we put some of the Pure Matcha Organic Ceremonial Matcha powder on a white background along with some other matcha green tea powders in order to get a good perspective on it's color and grind characteristics. We found the Pure Matcha to have a superior, super fine grind which can be attributed to the ancient method of stone grinding that the company uses for its premium matcha green tea powder. We also found the color of the Pure Matcha, Organic Ceremonial Grade Matcha to be that vibrant green color that all premium matchas share. Next Step for the Pure Matcha Review is to prepare the matcha green tea and rate it on taste. This is our favorite part! We were very impressed with the taste of the Pure Matcha tea. It was rich and smooth with no bitterness and just a hint of sweetness. The beautiful froth on top was rich and creamy which added to the pleasant experience. I must say that this is now one of our favorite matcha green teas and will be added to our list of best matcha green tea powder. Click the button below to comment on our Pure Matcha Review!